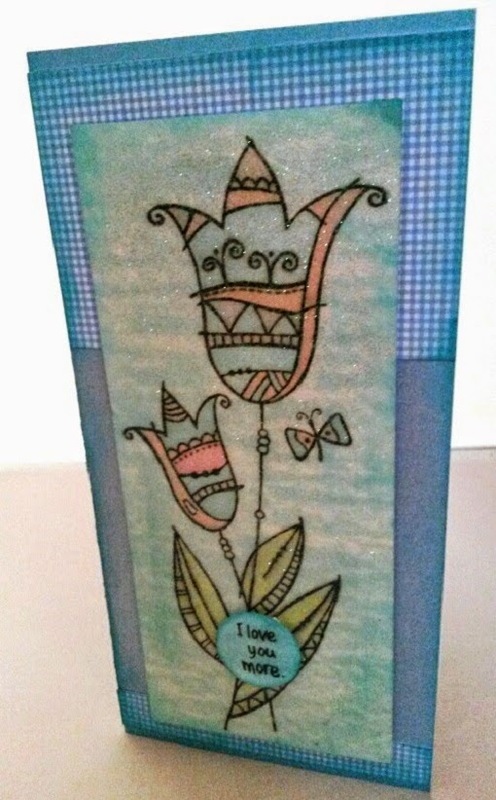 Perfect Card for a Perfect Day, Easy to make and lovely to look at. 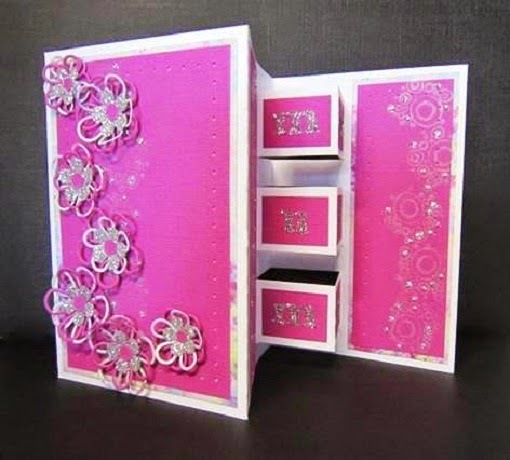 Pretty and Pink this is a perfect handmade card for those close friends. This wonderful bunch of flowers will really sparkly this spring. 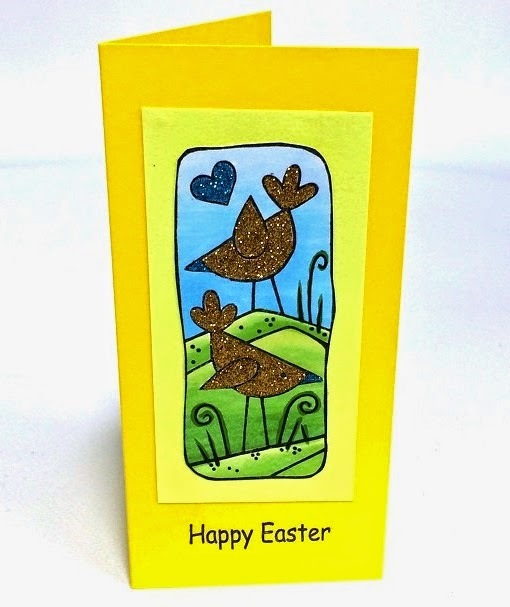 This is a fantastic bright and sparkly Easter card and will stand out this spring. 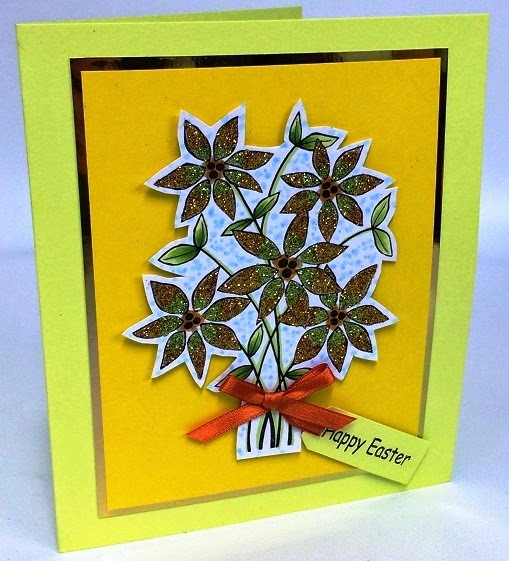 Wonderful flower card with a difference for this Mother's Day. Cut the Pearlescent Card to 198mm x 210mm and fold in half. Cut the Gingham card into two pieces one to 99mm x 65mm and the other 99mm x 15mm. Measure 5mm from the top of the card with the Layer Perfect and attach the large piece of Gingham card using the Tape Runner. Then attach the smallest piece of Gingham card 5mm from the bottom again using the Tape Runner. Stamp the image with black ink in the middle of your white card then colour with your chosen shades of markers. 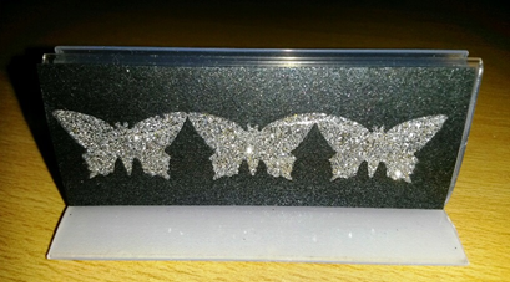 Once dry cut to 75mm x 175mm using the Layer Perfect and cover with the Sparkly Acetate. Again use the Layer Perfect to trim off the edges. Attach your image onto the A4 Foam Sheets and trim the edges to make the full image stand out. Using the Layer Perfect to get an even border and attach your image to the card. Stamp the greeting onto a scrap of white card then create a circle with the punch. Attach this over the leaves using smaller foam Pads. Finally drag the swimming pool ink pad over the edges of the card, topper, gingham card and greeting to highlight. This beautiful Card has been designed by Debbie Bradley who will now be the Stix2 and Woodware Demonstrator for the North East making our team even stronger. Watch this space for more projects by Debbie and her Demo Days. The Non Slip Grip comes in an A4 sheet format then can be cut to the size required. 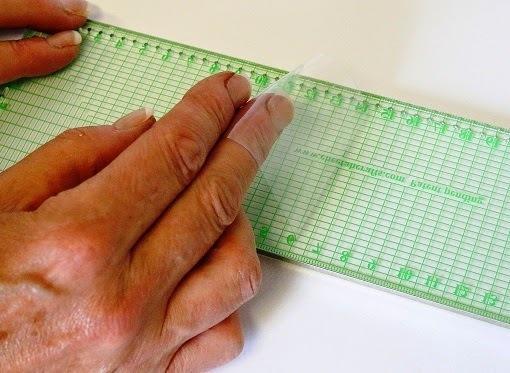 Attach to the base of the Stix2 Layer Perfect, rulers or even quilter's and draughtsmen's tools to stop them from slipping and moving about when drawing lines, creating tailors markings or when cutting material, paper and card etc. Simply cut to size, place on the back of the tool and press down firmly which creates a perfect seal but can be taken off if desired. The Non Slip Grip is Clear so will no hinder clear tools, such as the Layer Perfect, in any way and is removable and reusable. If you don't want to have any plain sign holder for your posters or displays here is a lovely technique that can be adapted to any colour or pattern. This is great for events or weddings for name cards and table settings! Cut your Glitter Card and Adhesive Sheets to size, Make sure the Adhesive Sheets is a little smaller than the card in order to avoid overlapping. Punch three butterflies out of the card in a row. Stick your Double Sided Adhesive Sheet to the back of the punched card. Place this in the messy tray and pour the glitter over the exposed adhesive of the butterflies. Peel the second backing off the adhesive sheet then attach to the sign holder.